When you look back over Art Hittner’s busy life it’s clear where this great and sprawling story came from. 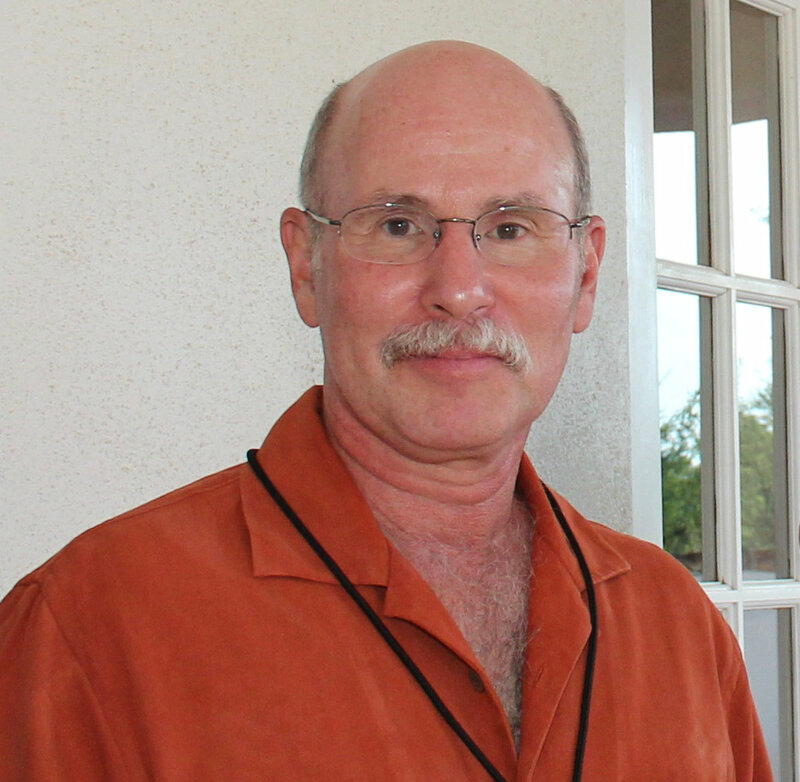 In addition to his decades-long career as a Boston lawyer, he’s been involved in both the art and baseball worlds, and has written books about both. This book easily meets the first requirement of novels — it tells a good story, of a young painter bursting with talent but overwhelmed by his own desires. It all leads to an end he never imagined and certainly never wanted. Henry J. Kapler, Yale ’36, rising artist, moves to New York to polish his skills and falls in with a group of other painters involved in the WPA’s art projects, which were responsible for the murals decorating many of the public buildings of the era. His courtship of the captivating Fiona, also a painter, leads him into the world of New York baseball — Fiona’s cousin plays for the Yankees. The cousin’s mistress, Alice, completes the triangle, and Henry’s inability to choose between the two lovers dooms him. Henry is based on the short life of the artist Harold J. Rabinovitz, whose painting Eventide Hittner purchsed. It started him down the road that culminated in Artist, Soldier, Lover, Muse. On the way he wrote a biography and catalogue raisonné of Rabinovitz’s work and life. Read the interview below to learn more about the process, in his own words. It was conducted by email. I found the book fascinating and a very enjoyable read, and highly recommend it for its look into the world of public art before World War II, baseball, and the impact of the Depression on the small world of painters, who then as now aren’t a highly paid group. 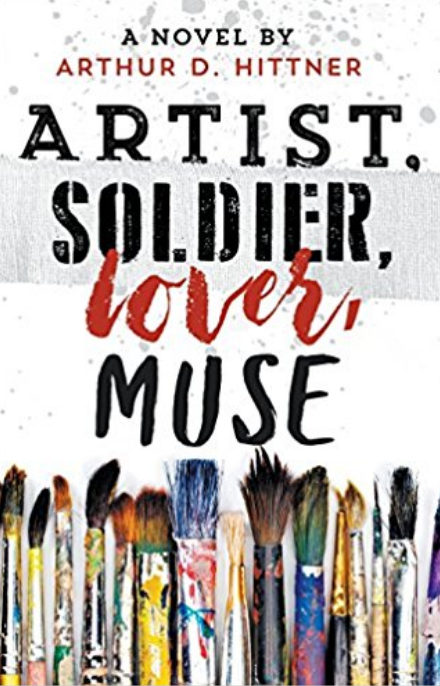 Artist, Soldier, Lover, Muse: A novel by Arthur D. Hittner. Apple Ridge Press, Oro Valley, AZ, 2017. Kindle $9.99, Paper $19.95. This review is based on the Kindle edition, which I purchased. You’ve owned a baseball team and been trustee of a well-known museum. You practiced law for more than three decades, and that’s a very time-consuming profession. I’m fascinated by the variety of your interests. Please tell me how those developed. Did you/do you play baseball? Do you paint? I most certainly don’t paint. Even walls would be a challenge. Baseball, however, intrigued me as early as I can remember. I have a photo, somewhere, of a tiny kid (me) in a Little League uniform two sizes too large, swinging a bat with the concentration of a surgeon. My father was only a casual fan, so I’m not sure why my fascination developed, but it quickly became an obsession. I collected baseball cards, played stickball almost daily on makeshift fields situated amidst the suburban New Jersey apartment buildings near my house, studied obscure box scores in weekly editions of The Sporting News, and indulged in Strat-o-Matic, a dice-based baseball game where actual Major Leaguers performed under my clever management as they would in real life (or so I presumed). My playing career stalled as a good-field, no-hit high school freshman, a third-stringer whose at-bats were as rare as manned moon landings. When, established in my law career many years later, I had the opportunity to acquire a modest interest in a minor league baseball team (the Elmira Pioneers, a Red Sox affiliate), I leapt at the opportunity and was instrumental in relocating the franchise to Lowell, Massachusetts, where it remains to this day. My passion for art developed independently. Shortly before my wife and I married, we met her elderly aunt and uncle, who had been Boston-area antique dealers for decades. They introduced us to the romance and beauty of old furniture and, eventually, art. Our interests evolved from early 19th century folk portraits to baseball-related fine art (a shocker!) to American art of the Depression era, which has been our abiding passion for the past quarter century. Always something of a contrarian, I was drawn to the work of a largely forgotten cadre of American painters well-known in their time, though long since eclipsed by the Abstract Expressionists. The artists of the Thirties were (and remain) largely unheralded and understudied, offering fascinating opportunities for research and discovery. It should be obvious that writing about art and baseball is far more interesting than decades of drafting partnership agreements and other assorted feats of legalese. The arrival of Eventide at your door must have been an event. What is the story behind it? In late 2005 I’d seen ad in a national art magazine offering a painting from the mid-Thirties by Harold J. Rabinovitz (1915-44), an artist totally unfamiliar to me. I called the Tucson dealer (we lived near Boston at the time) but was too late—someone had gotten it before me. But, the dealer informed me, another painting by Rabinovitz had surfaced as a result of the ad. It was Eventide, an astounding and monumental canvas depicting a poor rural family of three—mother, father and infant child, a veritable Depression-era version of the Holy Family (by a Jewish artist!). Even more astonishing was the fact that the artist completed this masterful painting on the eve of his twenty-first birthday. Much to my wife’s horror, I had to have the painting! Much to my horror, it had already been consigned by the dealer for an exhibition staged by a high-end dealer in New York, who asked twice the price for it. I could have it at the original price, the Tucson dealer promised, if it didn’t sell during the exhibition. It didn’t, but the New York dealer stalled for weeks, hoping to sell it before relinquishing it to me. After running out of excuses, the New York dealer reluctantly shipped the painting to me in Massachusetts—in a box the size of my front door. And when my wife and I moved (coincidentally) to Tucson several years later, it travelled cross-country in that same mammoth box, assuming a place of honor in our Arizona home, spawning years of research on Harold Rabinovitz and, ultimately, a novel inspired by the artist and his masterpiece (the re-creation of which graces the opening pages of my novel). What direction will your writing take next? Art or baseball, or something else entirely? Good question. It seems that art and baseball have a way of creeping into whatever I write. I’ve already completed two other novels, one a coming-of-age novel set primarily on a New England college campus in the late Sixties (semi-autobiographical, I suppose) in which the protagonist comically stumbles into an appreciation of art (and women) in a circuitous fashion, and a contemporary baseball novel in which a faded pitching prospect-turned-lawyer (bet you saw that coming) belatedly returns to baseball with the highly unconventional assistance of his recently-deceased wife. One or both, I hope, will be released in the near future if I’m brave enough. At the moment, I’m desperately searching for a viable idea (art, baseball or something entirely different) that will return me to my computer keyboard for another round of verbal high jinks. Even a quick reading of your Afterword makes clear you did quite a bit of research for Artist, Soldier, Lover, Muse. What were your main sources? What advice would you give to a beginning author who is setting out to write a novel heavily influenced by history? Artist, Soldier was the logical extension of the research I conducted on the life and work of Harold Rabinovitz, the inspiration for my main character, Henry Kapler. The biography I produced on Rabinovitz (At the Threshold of Brilliance: The Brief but Splendid Career of Harold J. Rabinovitz) was made possible by the discovery of a scrapbook of photos, newspaper clippings and mementoes lovingly accumulated by Rabinovitz’s parents during the Thirties, which had been passed down to the artist’s niece. Also useful were first-person accounts of artists’ experiences as part of the W.P.A. and related art programs operated by the federal government during the Depression. Although secondary sources are useful for fact gathering and checking while writing historical fiction, I’ve found that primary sources—the accounts of the people who lived in the world you seek to re-create—are of greater value in understanding the tenor of the times you seek to portray in historical fiction. Were the research skills you employed when you were working on your biography of Honus Wagner as effective when you were researching this book? The Wagner book (Honus Wagner: The Life of Baseball’s ‘Flying Dutchman’), produced some twenty years earlier, was based primarily on secondary sources. For a time, I installed a big, bulky microfilm reader in a corner of my bedroom to facilitate the perusal of over twenty years of baseball coverage in the sports pages of turn-of-the-Twentieth Century newspapers. I suppose it taught me perseverance and attention to detail, both useful skills for a budding researcher of history. What is your writing day like? Do you have a fixed routine, or do you find bits and pieces of time? And where do you find your work more productive, Massachusetts or Arizona? I have the advantage of not having to write for a living or to meet deadlines. Those days have (thankfully) passed. I don’t have a rigorous schedule. I have a favorite chaise lounge in my living room where I’ll sit and write on my laptop for as long as I’m motivated. I’ve spent more time in Arizona in recent years, but have been able to produce just as effectively in Massachusetts. Motivation usually comes from my characters, who invariably develop personalities and take actions I hadn’t specifically planned. Although diametrically opposed to the way I accomplished legal tasks, I don’t always have a clear idea of character development or plot lines until I’m well into my writing, and I’m frequently surprised (and delighted) when events (particularly endings) are not as I might have initially imagined.